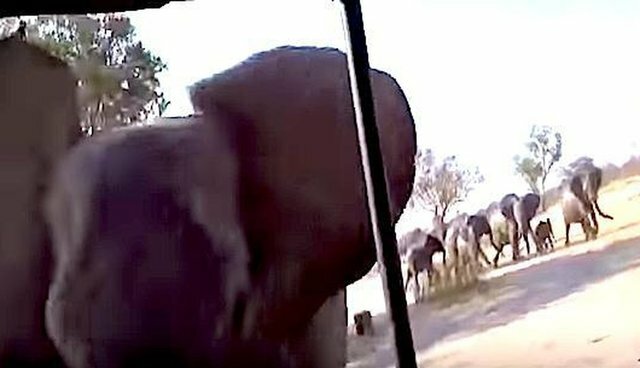 A group of tourists on African safari finally got the close encounter with exotic wildlife they were hoping for - but maybe a little too close. 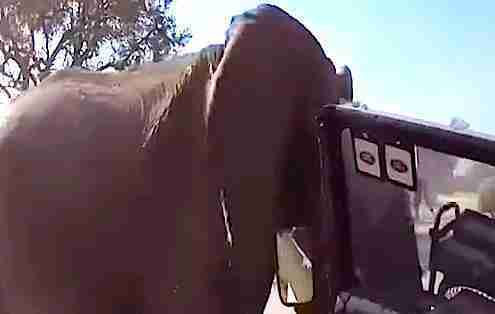 A GoPro camera captured the surprising moment when an elephant bull decided the safari truck posed a threat to his herd, which stood at a short distance behind him. He charged at the truck, and knocked it around a little. 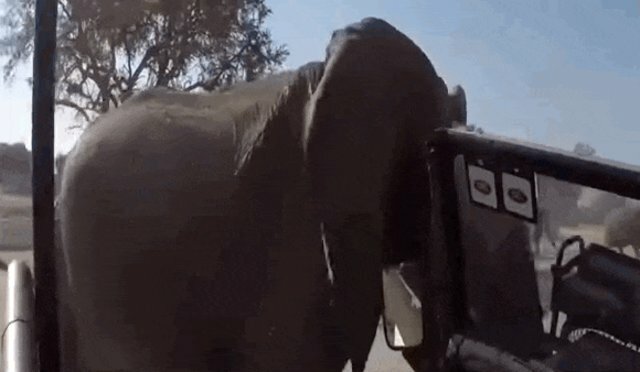 Luckily, no one was hurt, though the truck bears the marks of the elephant's might. 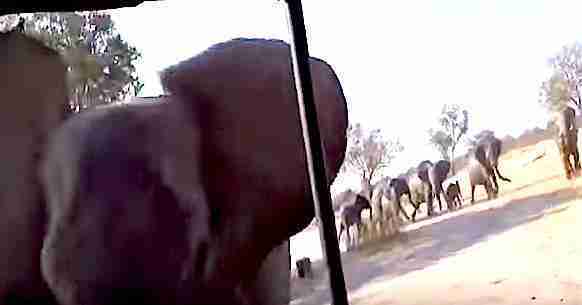 The encounter took place at Hwange National Park in Zimbabwe, the largest game reserve in the country, and the same park Cecil the lion once called home. Elephants are very loyal to their herds, and with this loyalty comes an impulse for defending their families and friends against perceived threats. With an elephant being poached every 15 minutes for ivory, it's no wonder they're protective. It's a distinct possibility they could disappear in our lifetime. Remember: It's their land - they're just letting us move through it. 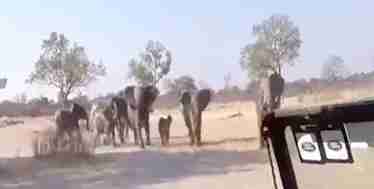 Watch a baby elephant practice charging here ... it's a little less alarming.